A retail business can’t operate effectively if it has an inefficient payment processing system. You need terminals that are easy to use, secure, reliable accept all types of credit cards, and let your customers make their purchases quickly and easily. 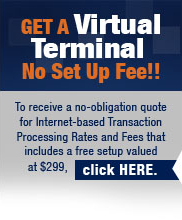 Veritrans offers payment processing solutions designed exclusively for retail businesses. We partner with POS systems, like Volusion, ShopKeep, Shopify, from e-commerce to mobile, to store front swipe, and everything in-between. Let us help you find the right POS System, to suit your needs. Almost always, at a better price, than you can find yourself. Aren’t you ready to simplify your retail operations? Click below to learn more about our Retail POS Systems.